If they’d known it would end up under a lake, they might not have worked so hard to bring water to this land. The landscape that lies under Lake Roosevelt today is part of a series of “benchlands,” flat regions separated by steep drops. The soil is fertile, and the nearby Columbia River provided drainage, but without a way to bring more water uphill to farms, crop yields were limited. The solution was an irrigation system. Construction began in 1908 after the Fruitland Irrigation Company settled a lawsuit with the local water and power company. Fruitland company president L. MacLean called it “one of the largest irrigation schemes that has ever been attempted” in the northwest. The irrigation channel ran from the confluence of the Colville and Columbia rivers, near Kettle Falls, to the town of Daisy, 15 miles South on the Columbia. This created a long triangle of irrigated land on the edge of the river, ideal for the orchards that still grow there today. As settlers came to the Northwest in the end of the nineteenth century, they brought agriculture with them. In order to claim homesteads, these farmers had to build some form of “improvements” to their land, and small irrigation projects were common. But a countywide project like the Fruitland system meant that the area’s farms had a lasting stake in the economy. Carrying water across eastern Washington took ingenuity. The finished “irrigation ditch” was actually a combination of ditches, crossings, and wooden flumes that carried water above ground. Most of the irrigation system was removed in the 1930s or abandoned to the rising waters, but pieces of it can still be seen today--reminding us that even on the edge of the Columbia, water is a critical resource. 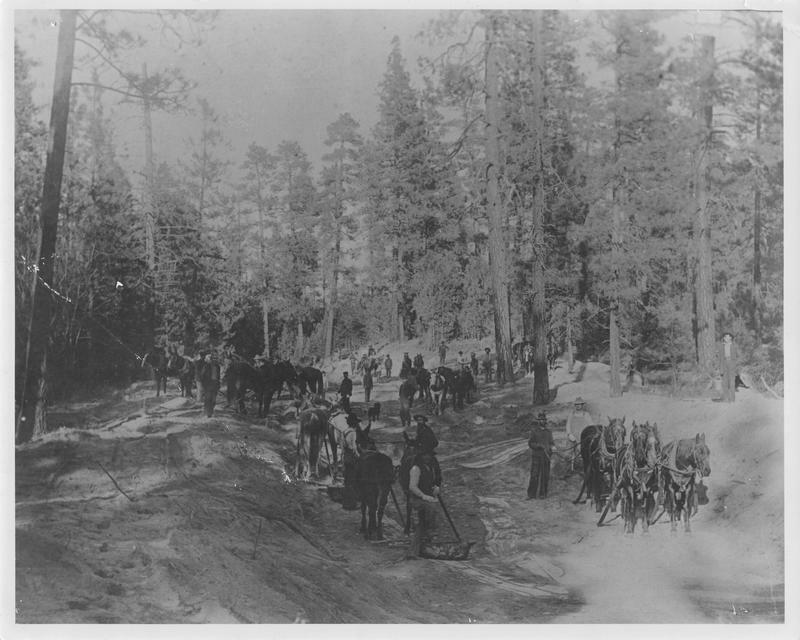 "Fruitland Irrigation Co. Ditch Under Construction": A "ditch crew" preparing a section of the irrigation system, around 1907. 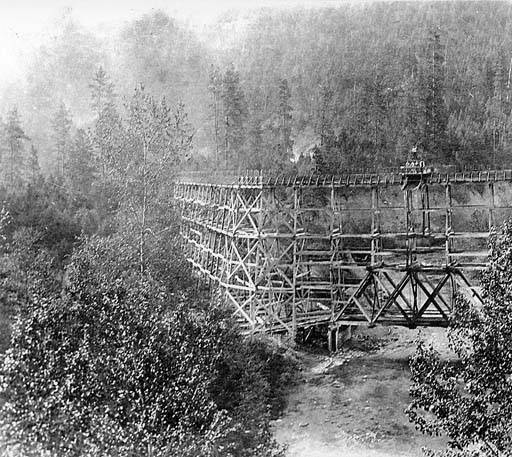 ~ Source: "Fruitland Irrigation Co. Ditch Under Construction", 1907, Kettle Falls History Collection, Crossroads on the Columbia Collection, Washington State Archives, Digital Archives, http://www.digitalarchives.wa.gov. From a 1908 special edition of the Valley Tribune, O. A. Atwood sings the praises of local farmland. ~ Source: Music: Vess L. Ossman, "Hill and Dale." Charlie Byers, “How the West was Watered,” Spokane Historical, accessed April 20, 2019, https://spokanehistorical.org/items/show/652. The Colville Examiner, no. 54, November 7 1908: page 1. http://chroniclingamerica.loc.gov/lccn/sn88085318/1908-11-07/ed-1/seq-1/#date1=1789&index=3&date2=1922. "W.C. Stayt," The Valley Tribune, Daisy, WA, March 26, 1908, page 4. Crossroads on the Columbia photo collection. Stevens County Library District.